Why did you optimize the map? It's perfect the way it is! Keep in mind that everyone likes more FPS (Frames Per Second). So I tried my best to keep the map looking the same, while having higher FPS. What did you do to make the map faster? Alot of textures have been replaced with the "No Draw" texture to boost performance. Also, the spawnpoint textures generated a surprising amount of lag. Therefore they have been changed. I ran the map, and my FPS is the same! 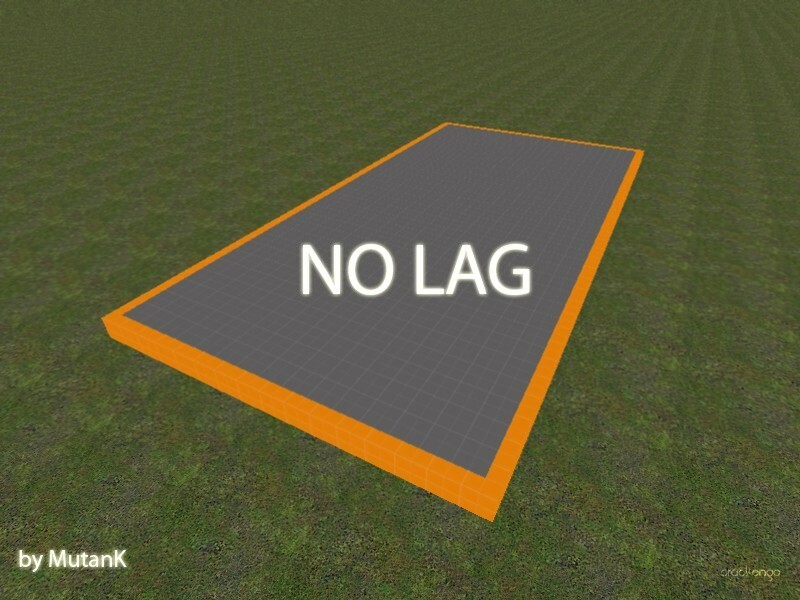 Your running this map under Gmod, the amount of addons/skins/sweps/etc. that you have also effect your performance. But this map has been tested on the Half-Life 2 Engine, and scores much better performance then the original gm_flatgrass. Under my machine, gm_flatgrass scored 80-120 FPS, while gm_flatgrass_nolag scored 300FPS (The Maximum amount of FPS possible on the Source Engine) Plus, the map size for gm_flatgrass is 963KB while gm_flatgrass_nolag is 648KB (315KB Difference).